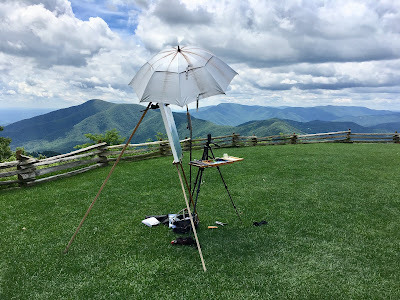 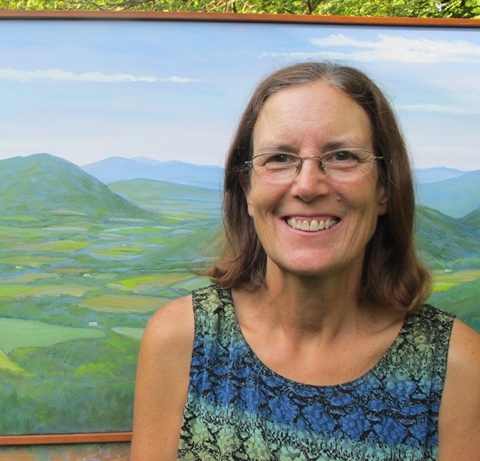 Had a wonderful hot celebration up at Wintergreen for the 4th of July, thanks to all that came out and bought some paintings!! 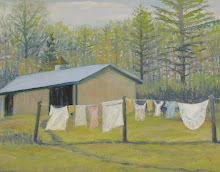 I have been painting but not posting . 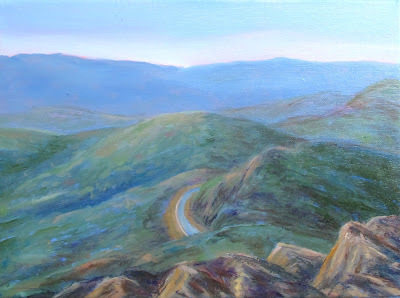 . . need to do more soon! This was a few weeks ago with my friends V-Anne and Chloe right near the buildings at Chile's Peach Orchard, looking east. 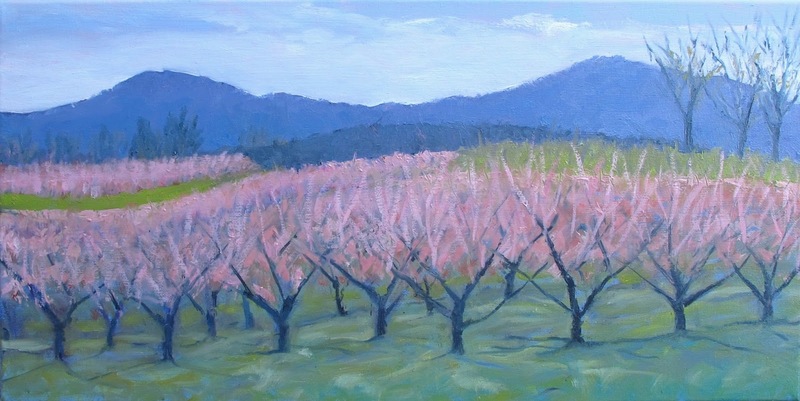 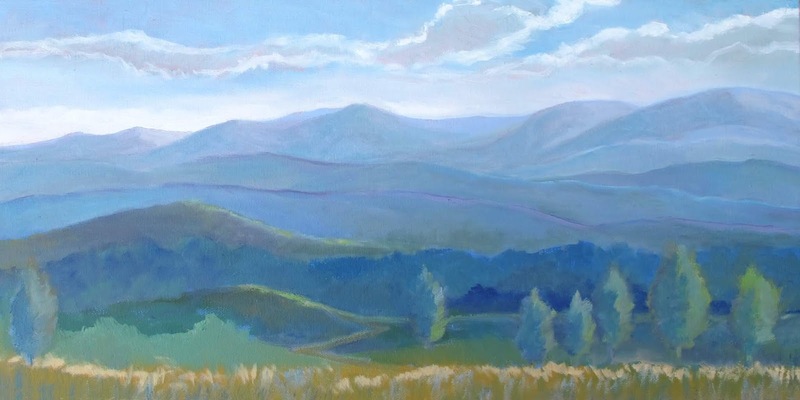 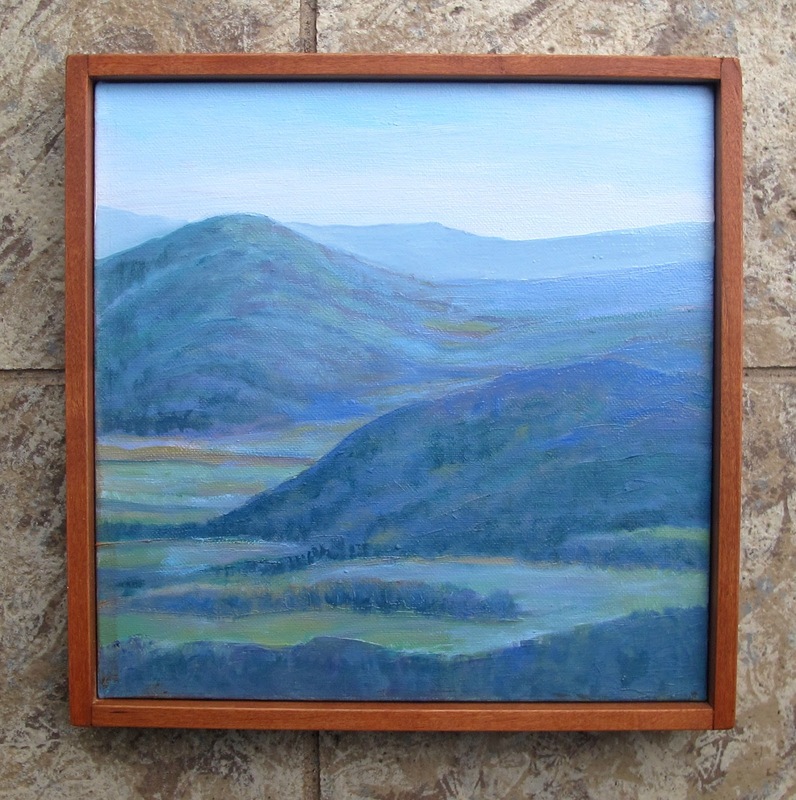 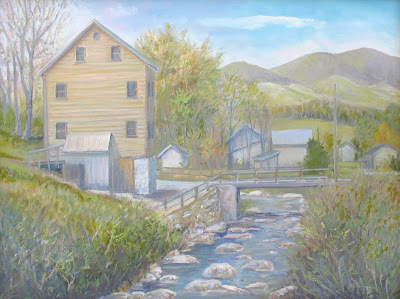 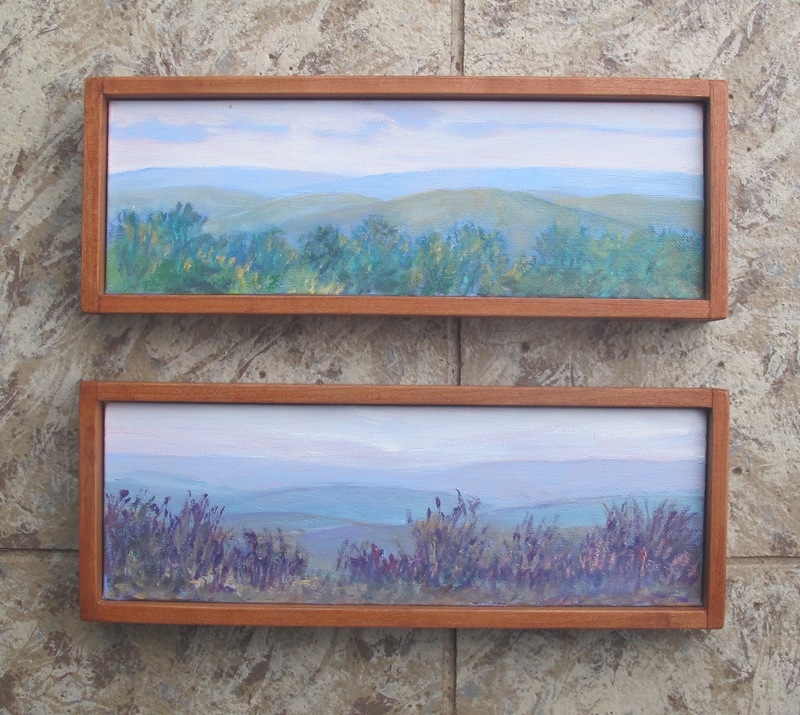 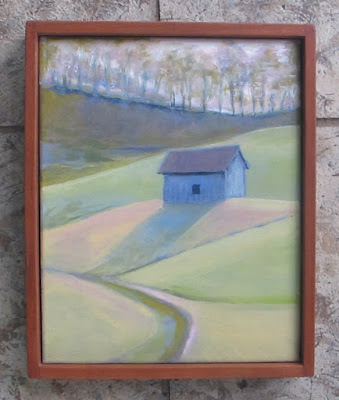 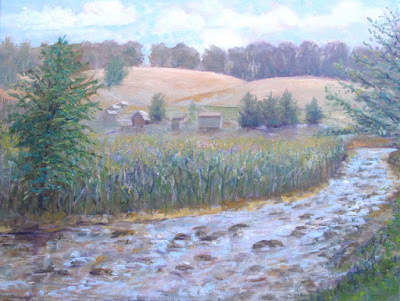 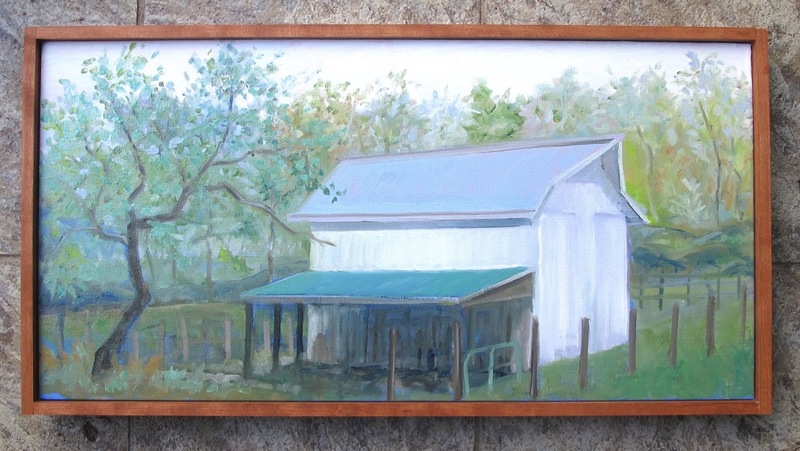 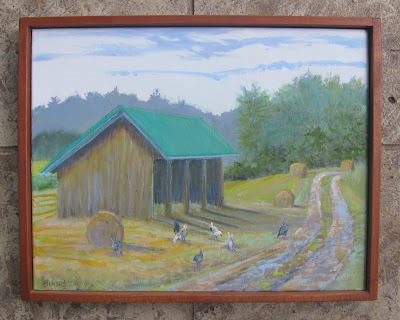 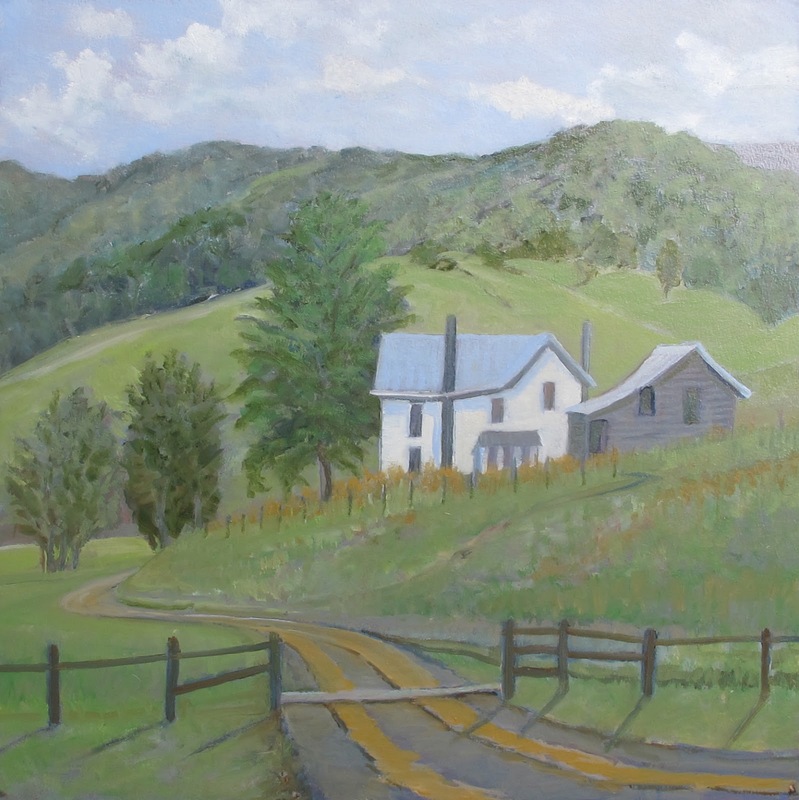 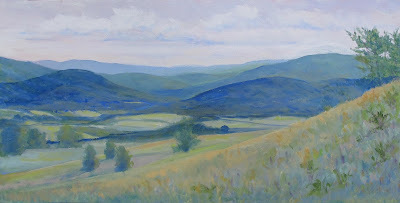 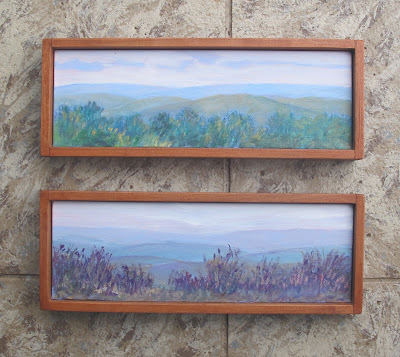 10" x 20" oil on canvas, framed $275 is hanging at the Crozet Artisan Depot. SOLD thanks Peggy! First impressions on this foggy morning right near my house, looking west. 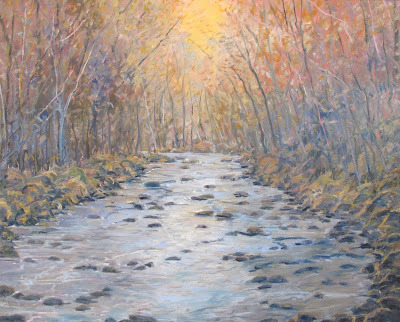 Then the sun burst out and it all lifted! 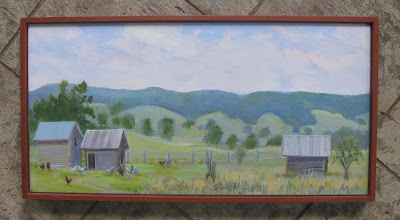 8" x 16" oil on canvas, framed $200 SOLD, thanks Anna! 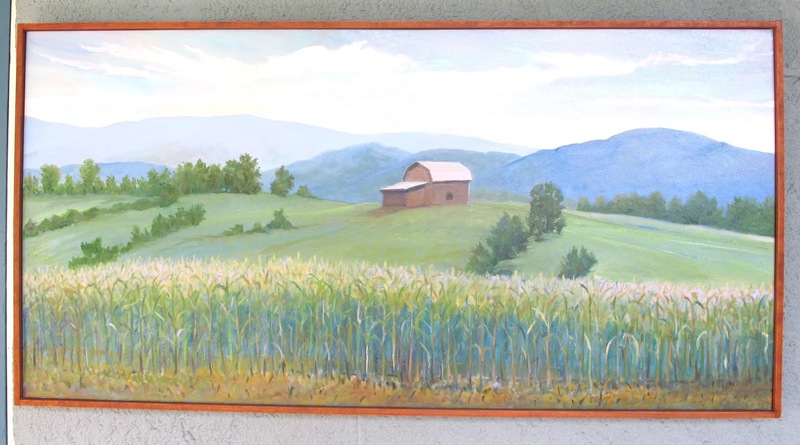 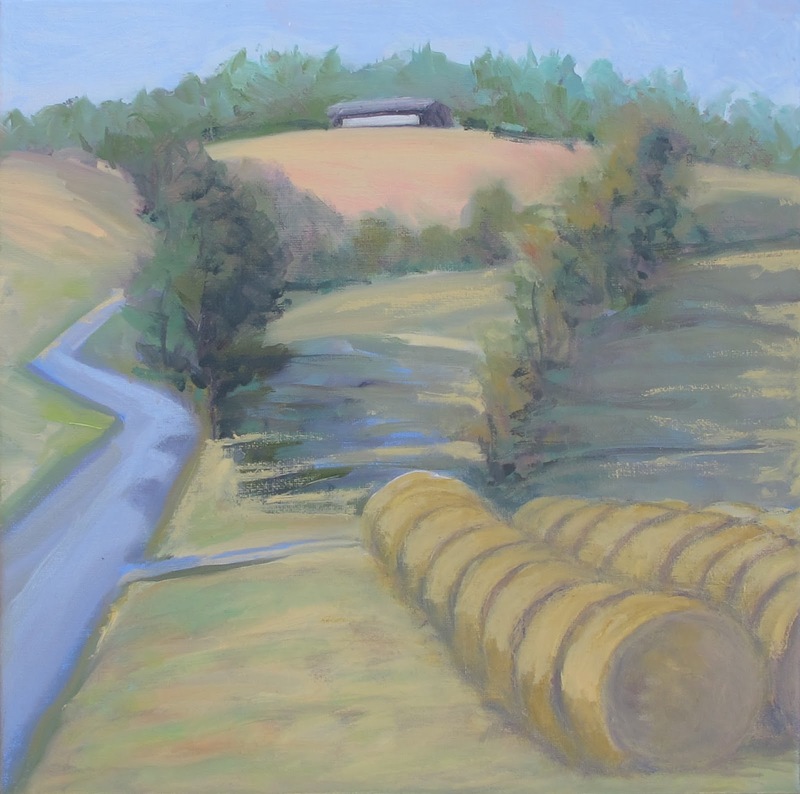 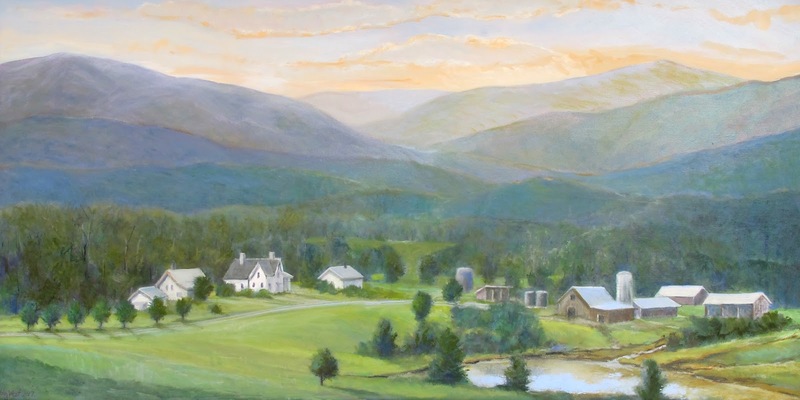 Floyd Country is beautiful, and last August I got to paint there for a whole week. 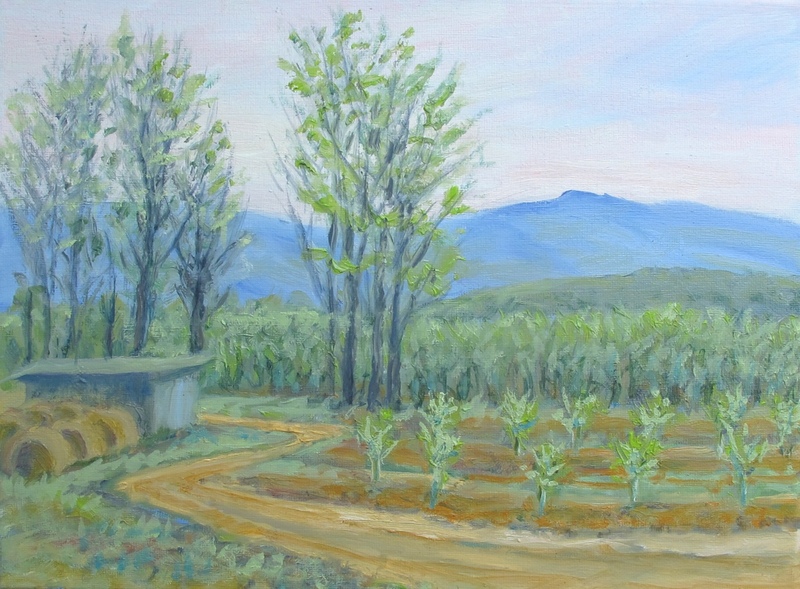 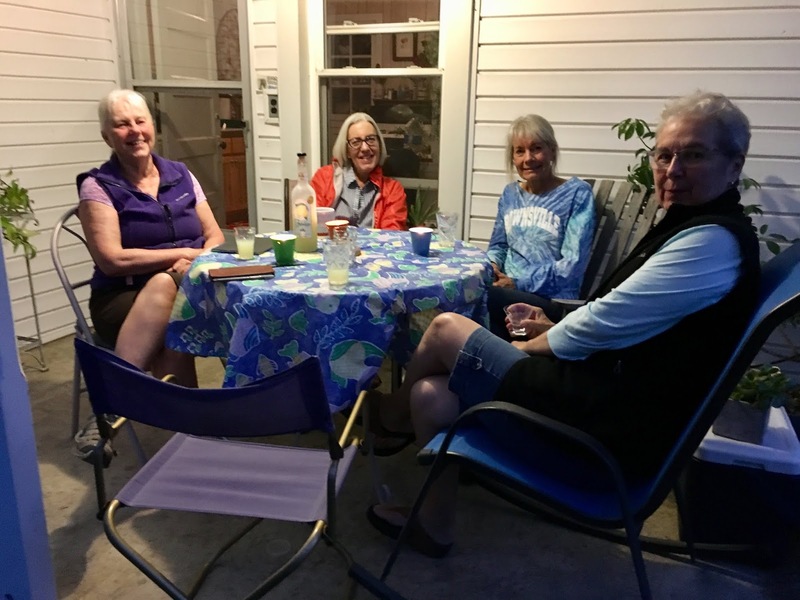 One day we went to Riverstone Organic Farm to paint, but also to have an amazing gourmet dinner that night. I will post a photo later from that evening. Here is the farm, up on the hillside from the riverbank. 18" x 24" oil on canvas, framed $475. 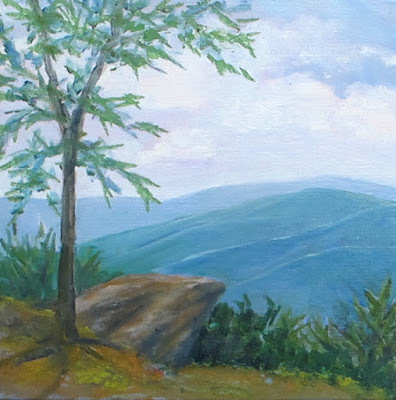 I will be away for the next two weeks, and will post once I get back! 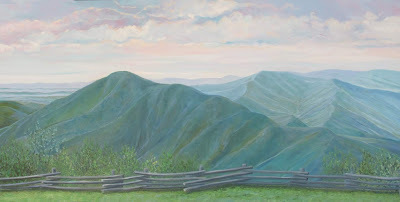 Last summer up on the Blue Ridge Parkway, afternoon light. 12" x 36" oil on canvas, framed $425 SOLD, thanks Beth! 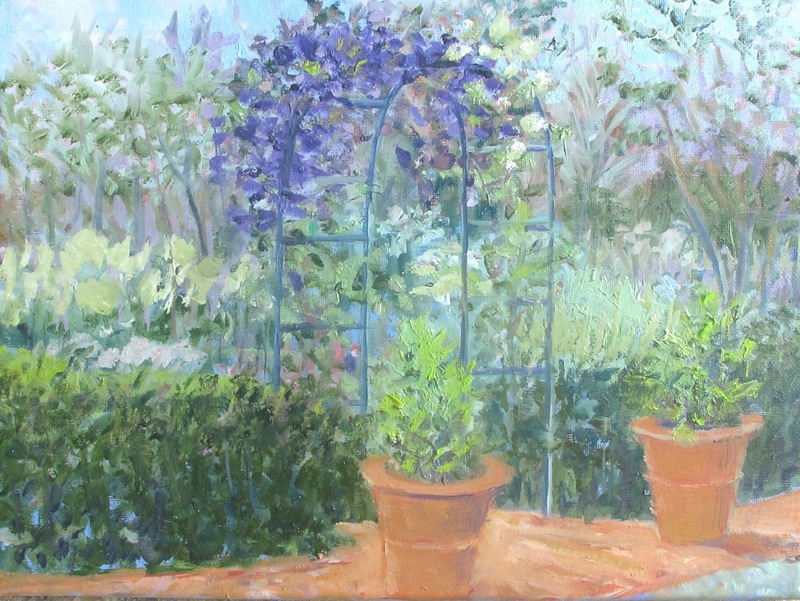 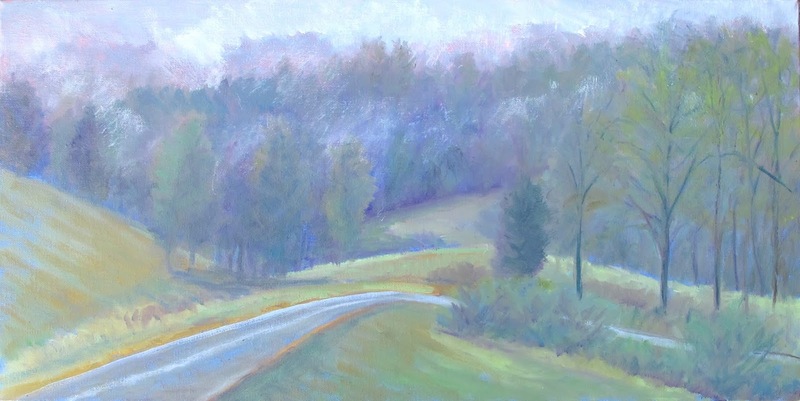 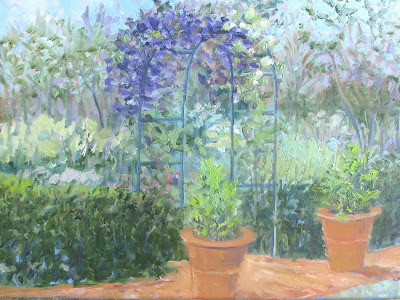 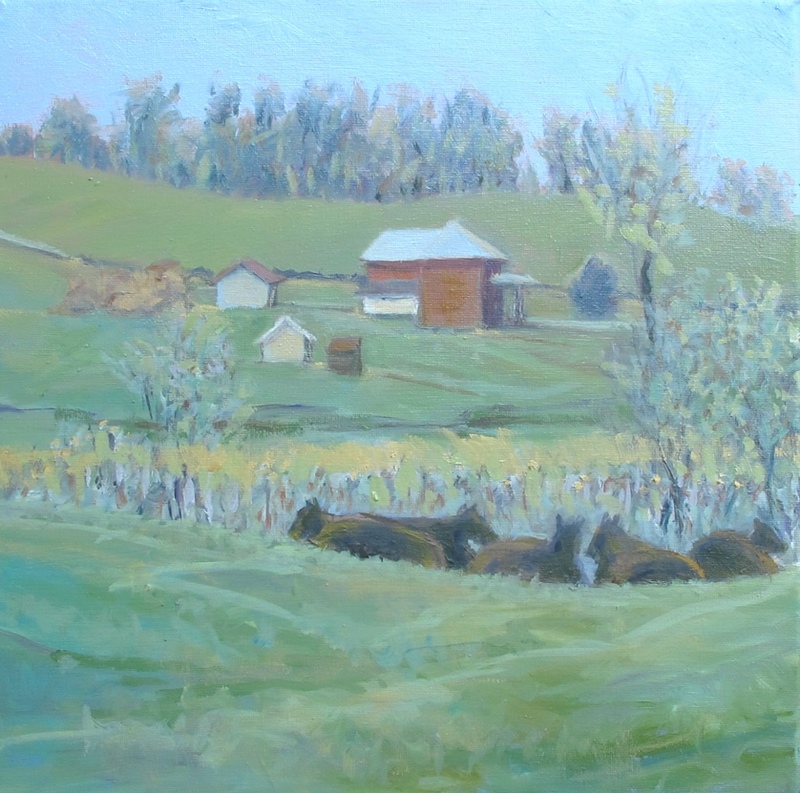 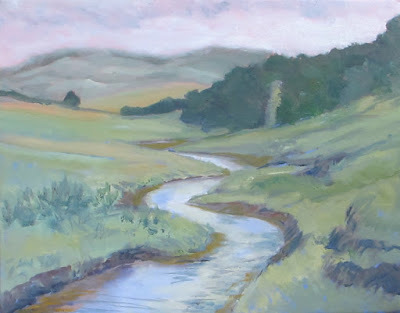 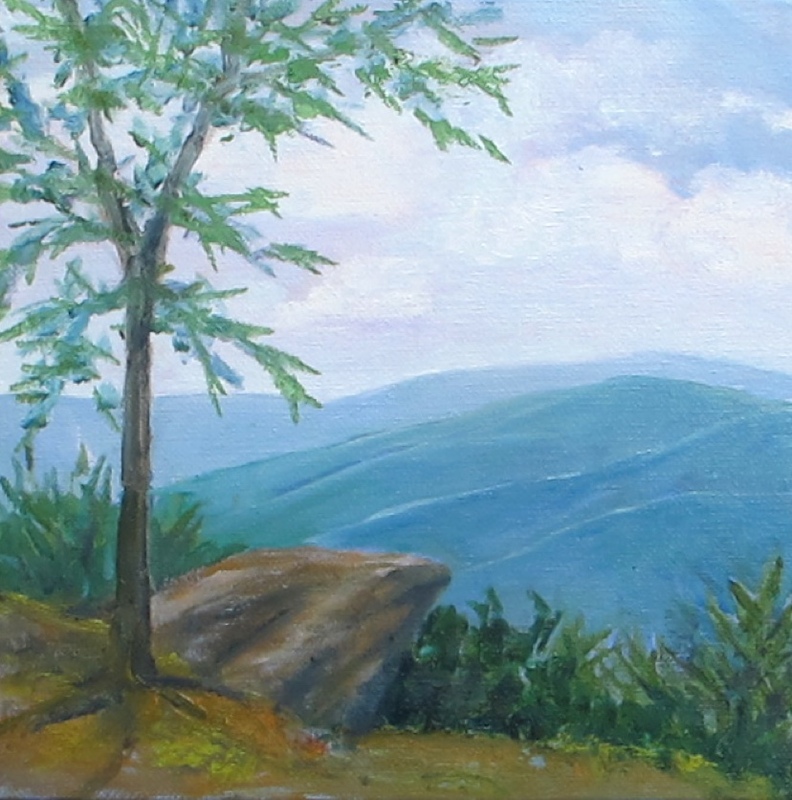 Plein air from last fall @ the Nelson Gallery Paint Out, this is at Shag Hill. I was standing in the shade in the late afternoon, would love to go back and paint this in the spring. 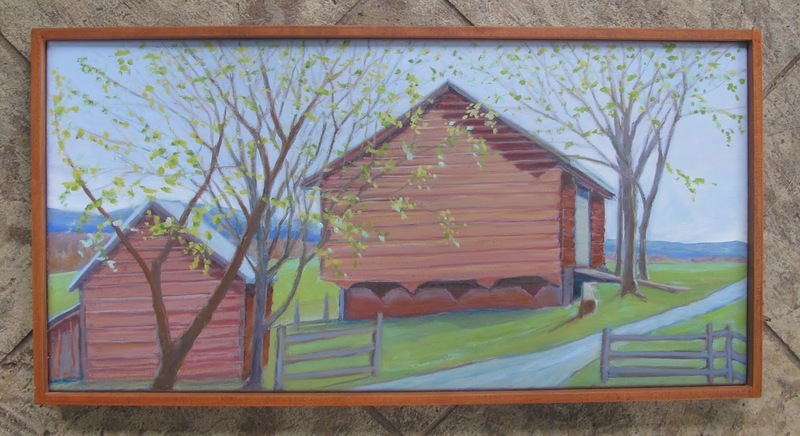 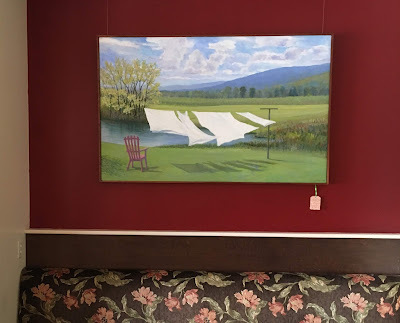 12" x 36" oil on canvas, framed, $450 SOLD, thanks Mark & Cecelia!